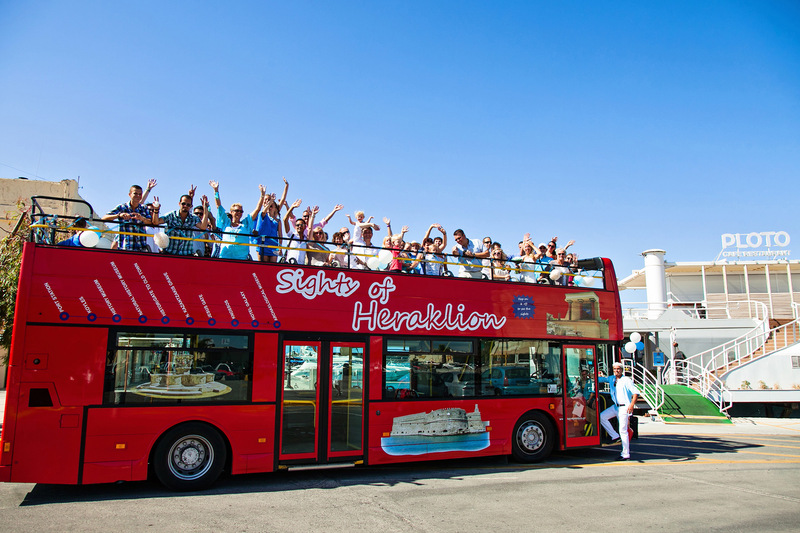 Get to know Heraklion (red route on our map) with ease and comfort. 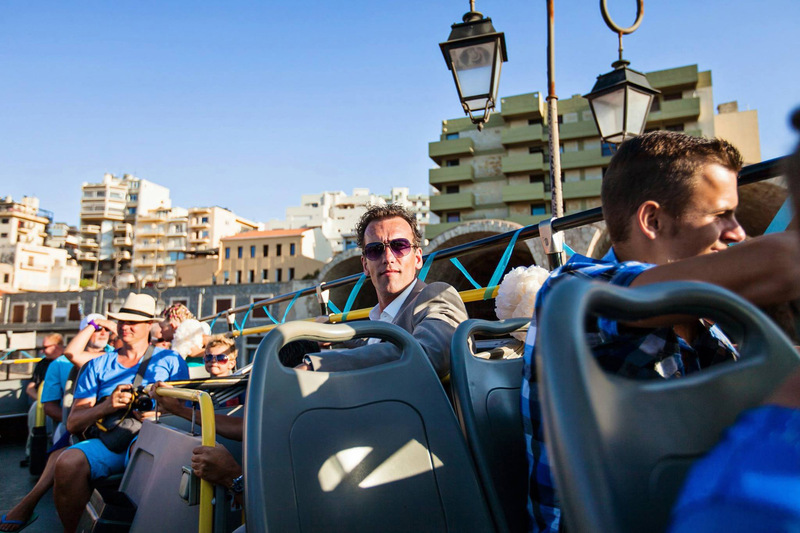 Our route is completed in 60 minutes and makes 11 stops at the main sights of the city, while we also offer our clients opportunity to visit countless historical monuments by utilizing the constant circulation of our buses (the bus passes by the stops every 45 minutes). 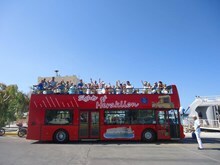 Get to know the areas of Ammoudara - Gazi and Heraklion simultaneously in one route (blue and red route on our map) with ease and comfort. 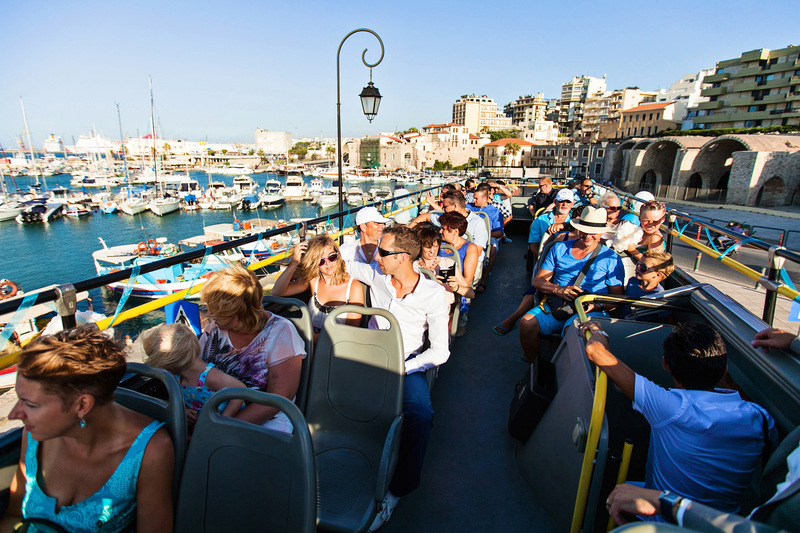 The route is completed in 105 minutes and has 18 stops offering our clients the opportunity to enjoy the beautiful beaches and the sites of the visited areas (the bus passes by the stops every 60 minutes). A commentary is offered in 8 different languages. Heraklion Sightseeing Tour gives you the opportunity to get to know the visited areas and enjoy a magical, 60-105 minute, journey in a state of the art open top bus. For more informations and video you can visit our website.